Galicia, 19th century. On six round feet. 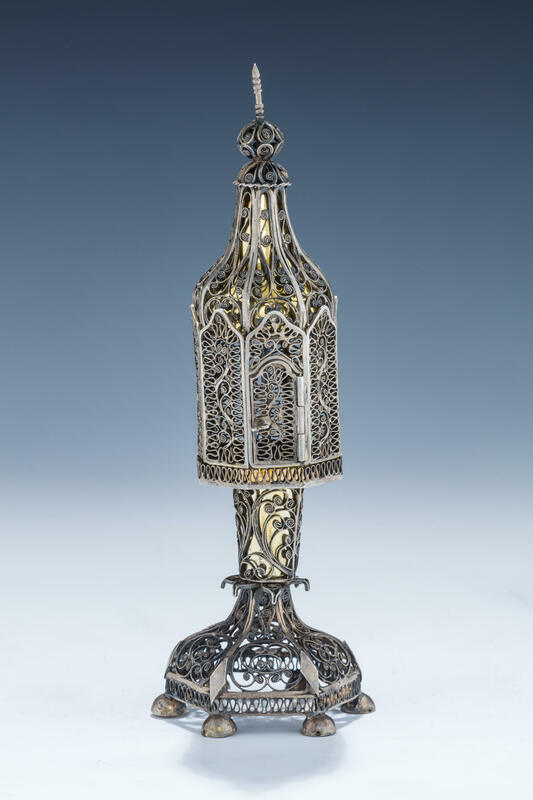 The base is octagonal and made of filigree decorated with applied diamond shaped silver applications. Upper portion consists of filigree applied on gilded body. 7.3” tall.